About - Company History - KHL Flavors, Inc.
KHL Flavors was founded by Dr. Karl H. Landes in 1929 as an American adjunct to the family’s large European grain trading and spice company. After serving with distinction in the South Pacific during World War II Dr. Landes re-activated the company upon his return to the U.S. in 1945 and was joined by his brother, Joseph Landes in 1958. The company soon again gained an admirable reputation for quality and fair dealing both with customers in the U.S. and a large far flung worldwide network of trusted suppliers. The company is now operated by the sons of Joseph Landes, Peter and John Landes and Peter’s son, David. 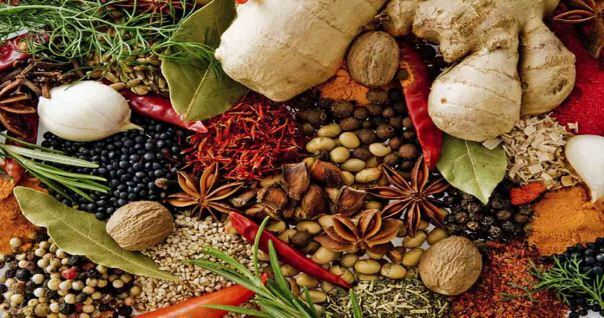 KHL Flavors carries an extensive line of bulk culinary spices, botanicals, herbal tea ingredients, beer, liquor and tobacco flavorings and dried flowers for industrial use and retail packaging. We say if you’ve had anything to eat or drink in America, you’ve probably had our spices. KHL Flavors remains a family owned and operated business serving the retail, industrial and commercial markets. We are also able to provide cracked, ground, and blended materials as well. We only offer the finest quality spices, thoroughly examined to make sure that you receive the highest grade product available.